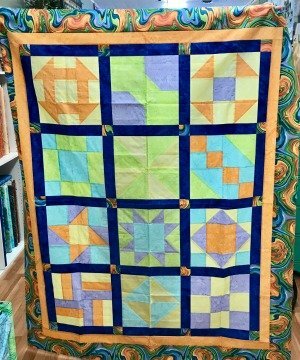 Each month on the second Wednesday, beginning May 9th, Bev will help you take your quilting skills to the next level! Using the Block Tool Book, you will make 12 different blocks, learn to add sashing, cornerstones, and borders! She will have cutting tips, piecing tips, and much more! You will need to purchase fabric and supplies before the first class. Must know your machine and basic piecing/quilting skills.